The article has great examples as well as links to other resources. This is awesome. I have been looking for game data in the MLB for the 2015 season, and although boxscores are fairly easy to find per day, to get them as one dataset is a lot harder. Yes, you can write a Python script that automatically pulls this data per day, but I found something far easier: SDQL, or sports data query language. Perhaps I have been under a rock for years, but to me this was an exciting find. So thank you @sdql for providing this great tool! Again, Vik doesn’t just write about the pro’s and con’s of these two languages, but compares them practically by going through a number of activities side-by-side. 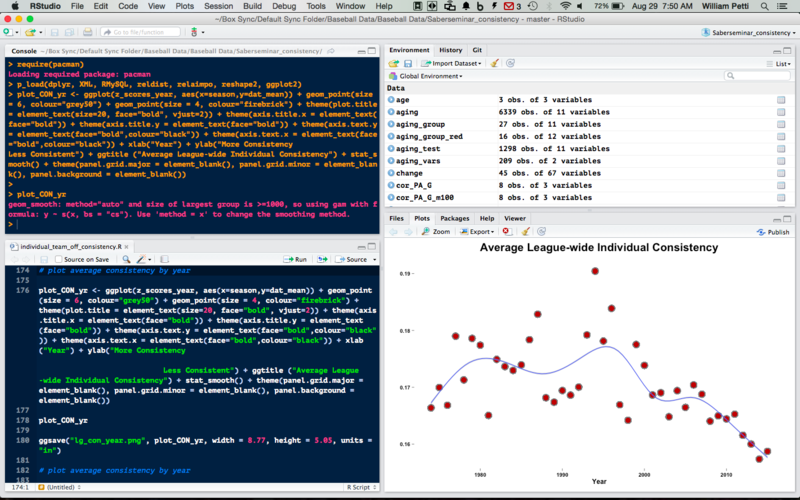 PS I forgot to add the link to the previously posted article about Python data visualization tools. It can be found here. Vik provides brief insight in some Python data visualization libraries, but he does so with practical examples on how the libraries can be used. Good article to get more familiar of options and when to use them.